Even if you want to sneak a bit more fiber and protein in your diet, these little babies will do the trick. Don’t let the beans fool you – these are better than some of the other gluten free brownies I’ve tried using gluten free flour. 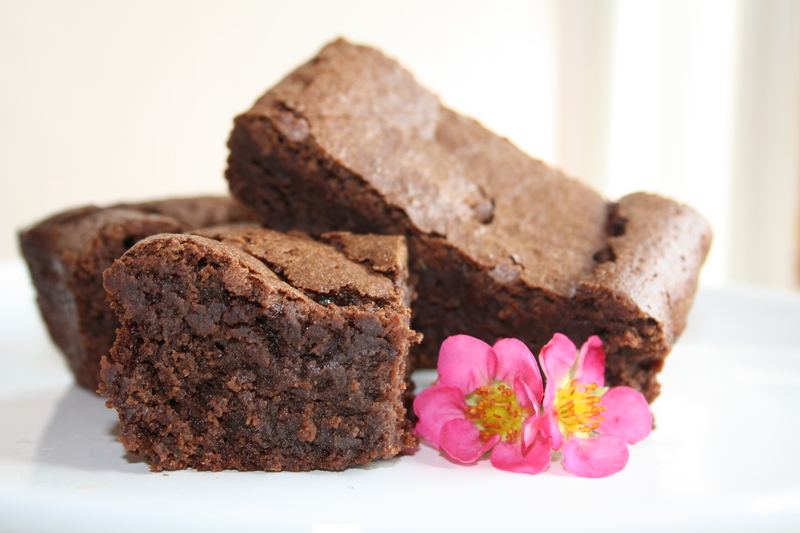 The brownies come out super moist on the inside with the goodness of crumbly edges on the outside. Look for adzuki beans (small sweet red beans popular in Japanese cooking) in health food stores, Asian supermarkets and some regular supermarkets. If you can’t find them, use 1 3/4 cups (425ml) drained, rinsed canned or cooked black beans. Line 9 inch square metal cake pan with parchment paper leaving a 1 inch overhang. Set aside. In a small saucepan, melt butter with chocolate over low heat and set aside. Meanwhile, in a food processor, puree beans until smooth. Set aside. In a large bowl, beat eggs and sugar until pale and thickened. Beat in the vanilla. Stir in chocolate mixture until combined. Stir in beans until smooth. Scrape into prepared pans. Bake in centre of 350 degree (F) oven until cake tester inserted comes out with a few moist crumbs clinging – about 45 minutes. Let cool in pan on rack. Cover with plastic wrap and refridgerate tunil cold, about two hours. Using paper handles, remove brownies from pan and cut into squares. Make-ahead: Refrigerate in air tight container for up to five days or wrap individually and freeze for up to two weeks.